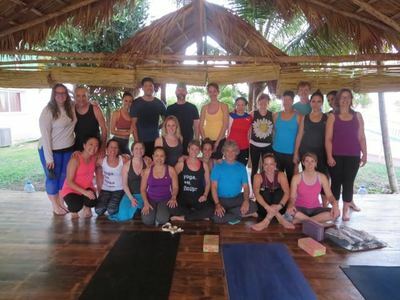 Retreat Insider - Yoga Unites To travel is to take a journey into yourself. If you spent a day watching 24 hour news channels and scrolling your social media feeds, you may notice that there is an incredible amount of attention spent on highlighting the differences among people. Differences of political ideologies, religious beliefs, income levels, family values, geography, have's and have nots... It's exhausting. But, as human beings, our similarities far outweigh our differences. It may sound overly simplistic, but at the heart of it, we all have a beating heart, a brain that governs our thoughts and actions, and a level of consciousness. We all experience feelings of love and anger, laughter and sadness, joy and grief. The practice of yoga doesn't discriminate. When a person steps onto their mat, they are joining their fellow yogi's with breath and movement. The word 'yoga' in Sanskrit, means 'to yoke' or to unite. To unite body, mind and soul within each individual. To unite all practitioners together in practice. Yoga is not a religion, it is a beautiful philosophy in which the physical movements are only one part. 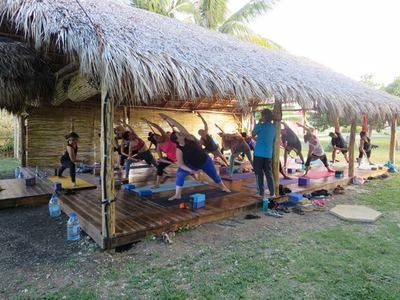 Perhaps it is no coincidence that the faster and more materialist our collective societies become, the more people seek yoga and meditation practices. 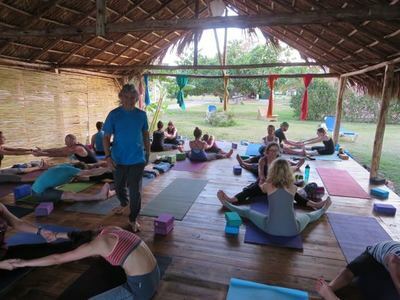 I just returned from a beautiful week co-hosting a yoga retreat with Cuban teacher Eduardo Pimentel at the authentically charming Mhai Yoga Retreat Centre outside of Havana, Cuba. Five countries were represented, ages from 25-71, men and women, couples and solo travellers, beginners to advanced level yogi's.... These differences did not factor in the experience at all. Laughter and experiences were shared, connections were made, and we all grew as a result. 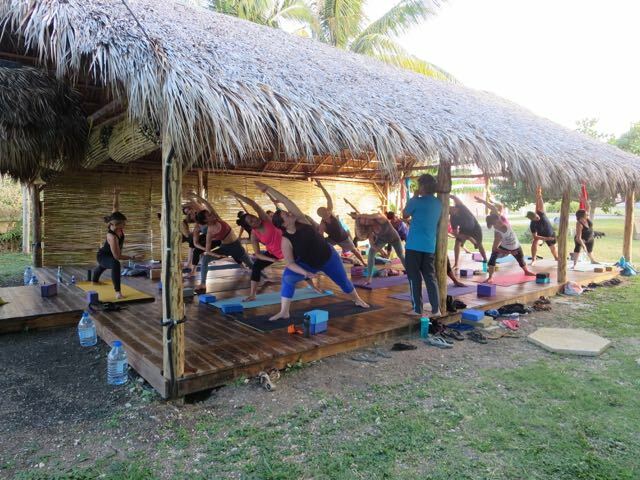 Kathy Parsons, Living the Santosha Life through yoga, meditation and travel.